I have read (on blogs and in other stories online) of runners that celebrate their birthdays by going out and running their age in miles. Well, I don’t think I am up to running 38 miles.. or even 38 kilometers. 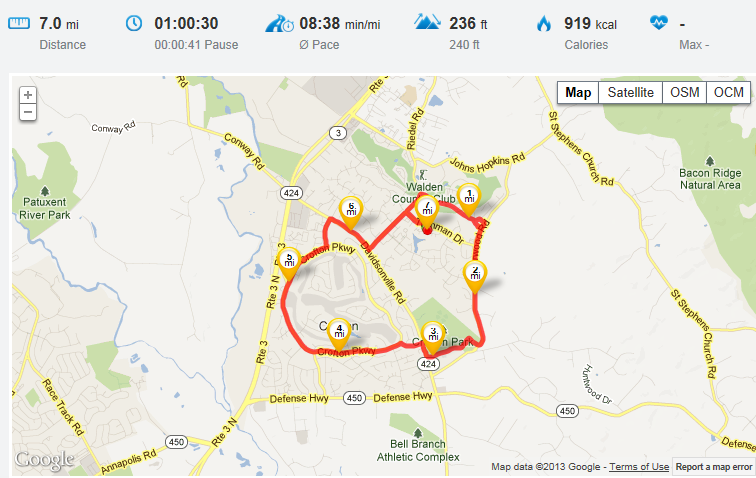 So I headed out my door yesterday with the goal of running 38 meters (plus a bit extra) in celebration of my birthday. 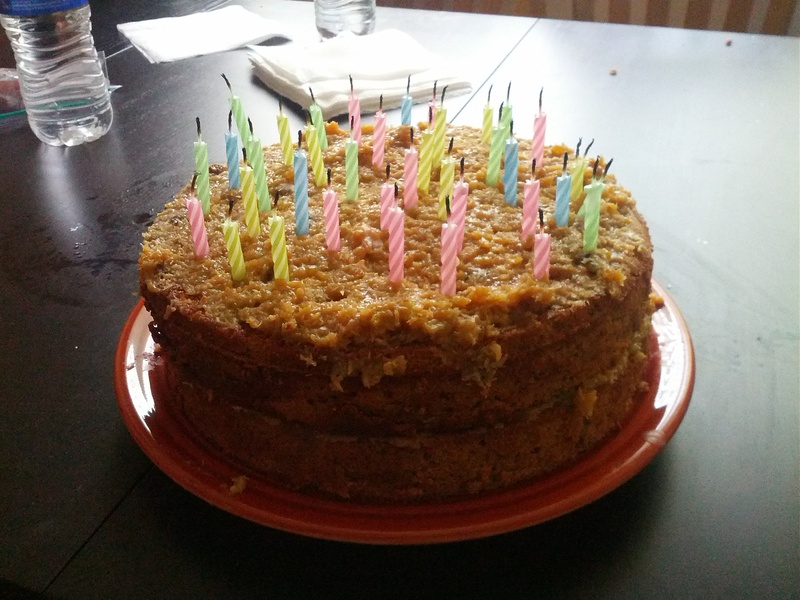 My wife made me a home-made German Chocolate Cake! Around the parkway I went, waiting for my Runtastic to tell me I was at the four mile mark.. That way I knew there was less run in front of me, than behind me! My left foot still felt pretty good, and my blister was definitely there. My legs were tired and really wanted to be sitting in a recliner.. I knew my times of 8:21, 8:23 for mile 1 and 2 were somewhat quick for 7 miles, but I figured you don’t get faster if you don’t push it… 8:36 for mile 3 showed I was slowing.. and 8:44 at mile 4.. Well, I foolishly tried to pick it up a little to make sure I was keeping 8:30 or better splits. That is my hoped-for pace for the MCM, which would bring me in at 3:43. I did finish.. And I did NOT call my wife. Over all time was 1:00:28. 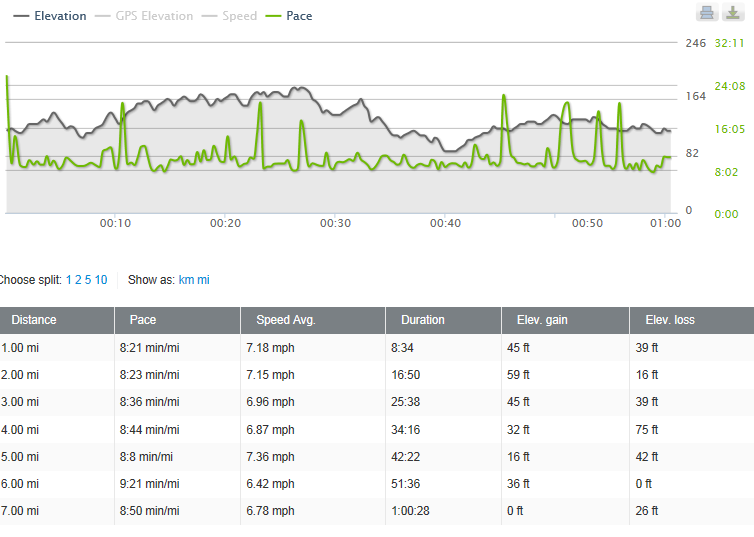 I just missed my 7 mile/hr speed that I was aiming for, but I was not the least bit upset. Actually, I was amazed I was only 28 seconds off with the number of times I walked! 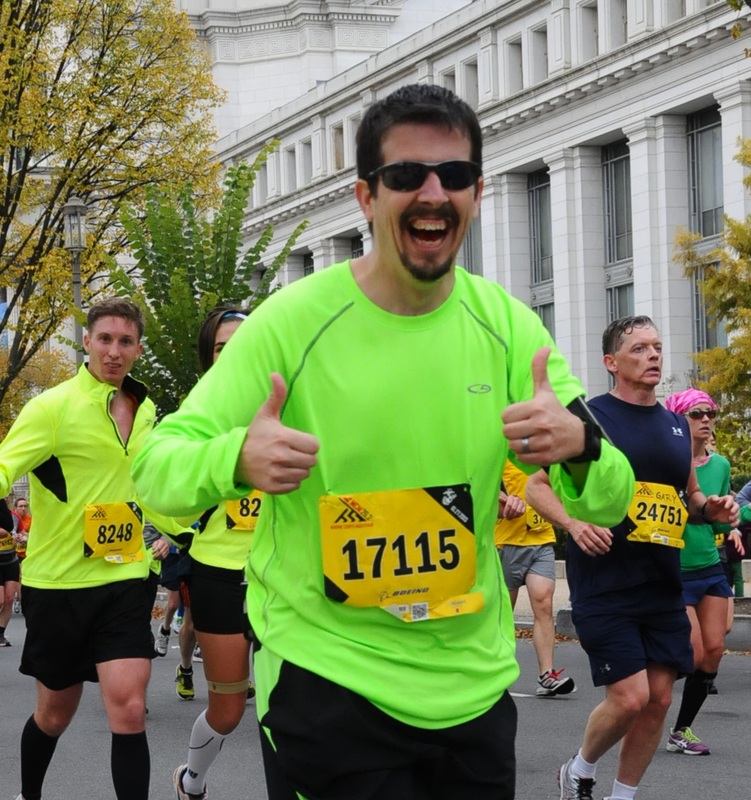 With how I felt – I consider it a succesful run! The “hard” runs – where we have to keep convincing ourselves to put one leg in front of the other.. I think those are the ones that really help us grow and improve. I did ice and massage my foot throughout the rest of the evening, and even wore my “boot” on the foot for part of the night. As it is sore this morning (big surprise), I also brought my footlog and an ice pack to work. I wear my orthotics in my work shoes during the week, so hopefully that will help keep the level of stress on my foot down during the day. With good icing/massage – hopefully it will be up for tonight’s 3.25 miles! 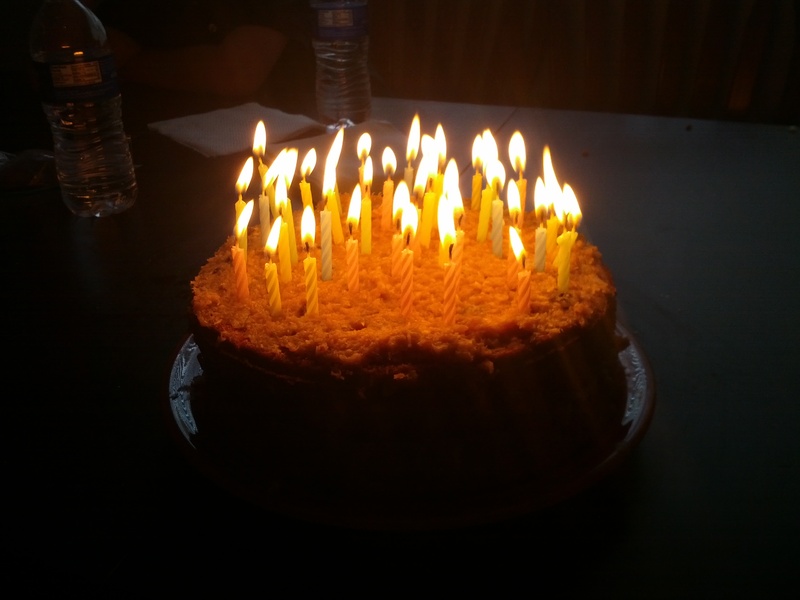 Got all the candles in one try! And lets face it, that is a lot of candles! My birthday? It was fantastic. My wife and kids took excellent care of me. We had grilled hamburgers and hotdogs, with sweet corn and kale salad. Thanks to that run, I still came in 1000 calories under what I was allowed for the day! Definitely an outstanding birthday. ‹ Last Run of the (choir) Season. LOL.. the run was miserable.. but the cake was good! Thomas – Any information on plantar fasciitis and Thorlos?